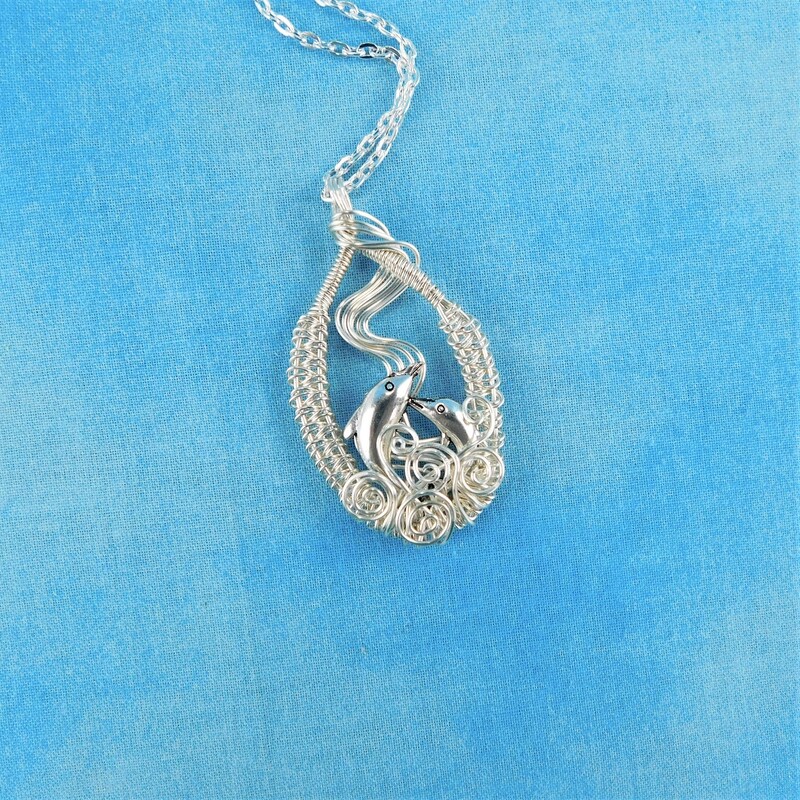 Two dolphins jumps among wire waves, within an artistically woven and sculpted wire frame. 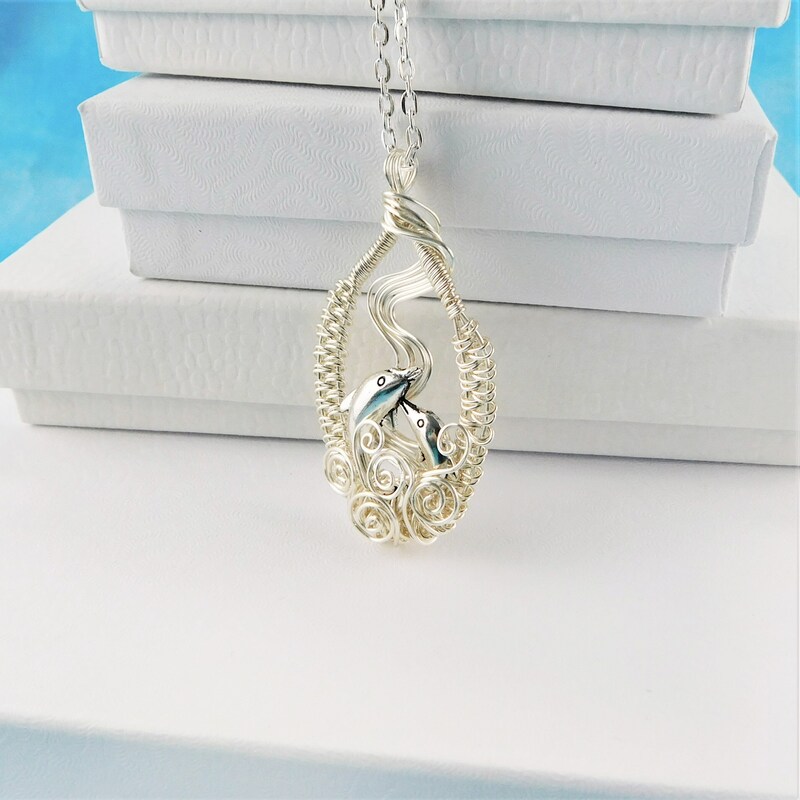 This artisan crafted piece of wearable art is a one of a kind piece that will be appreciated by any lover of the sea and the wildlife within it. 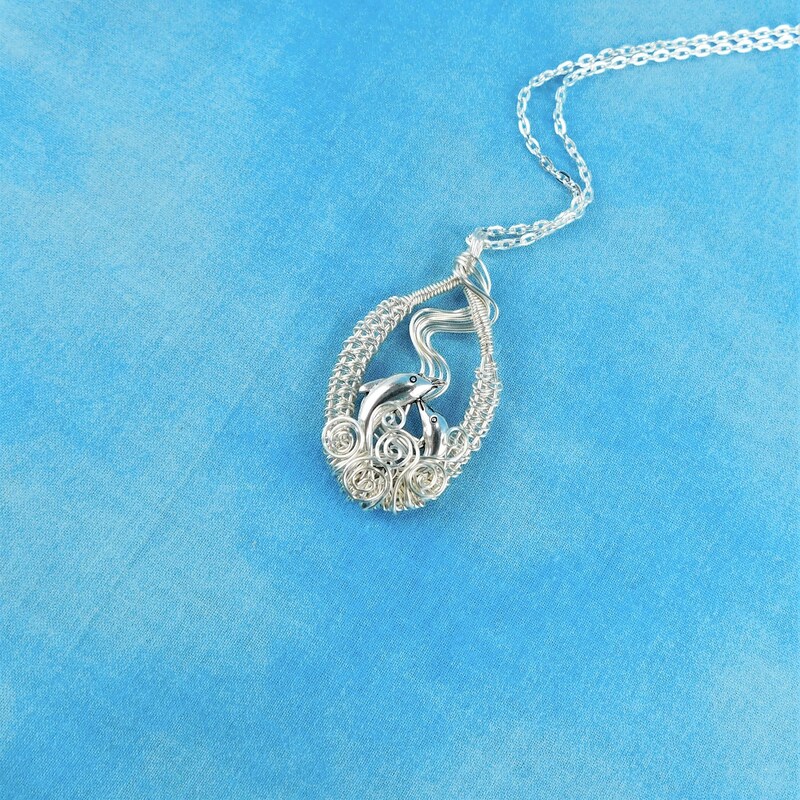 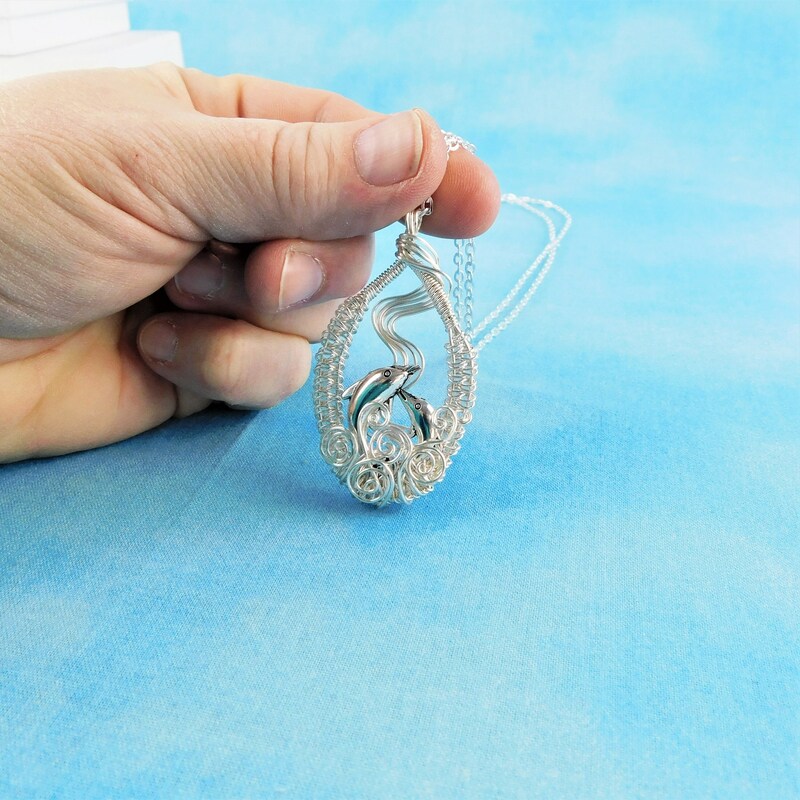 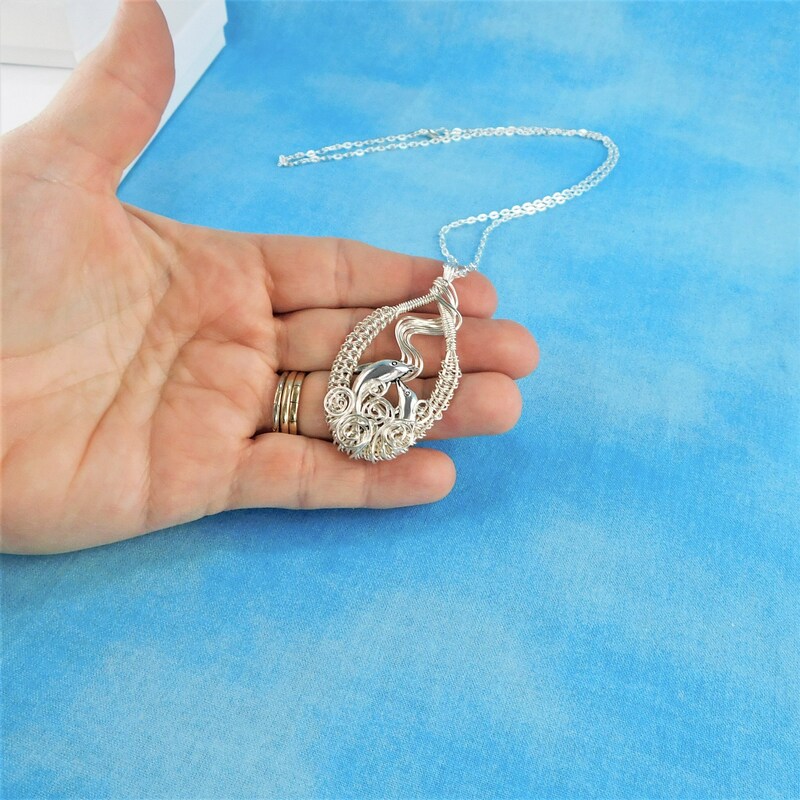 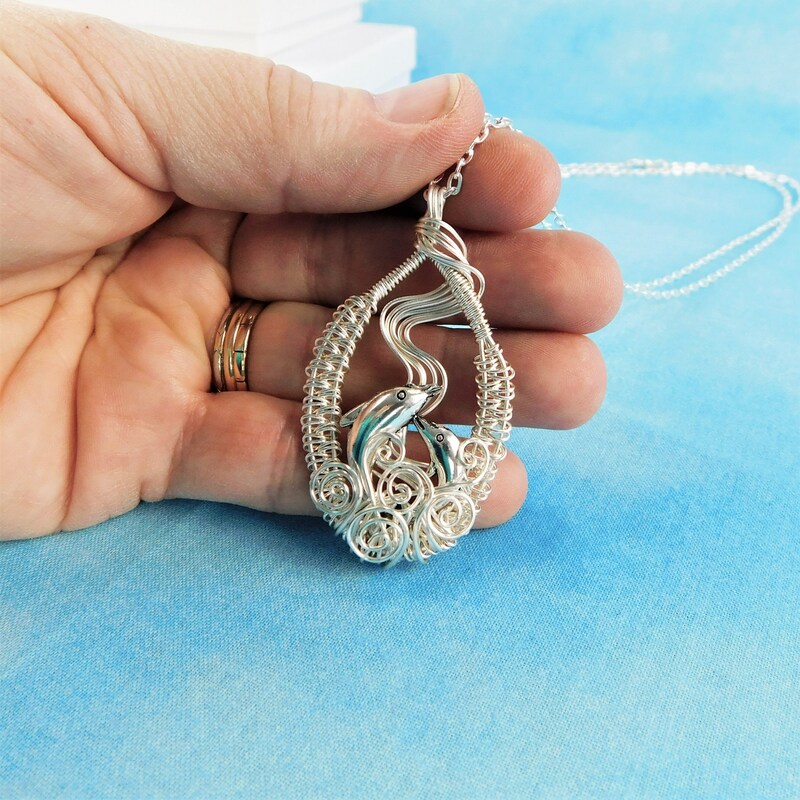 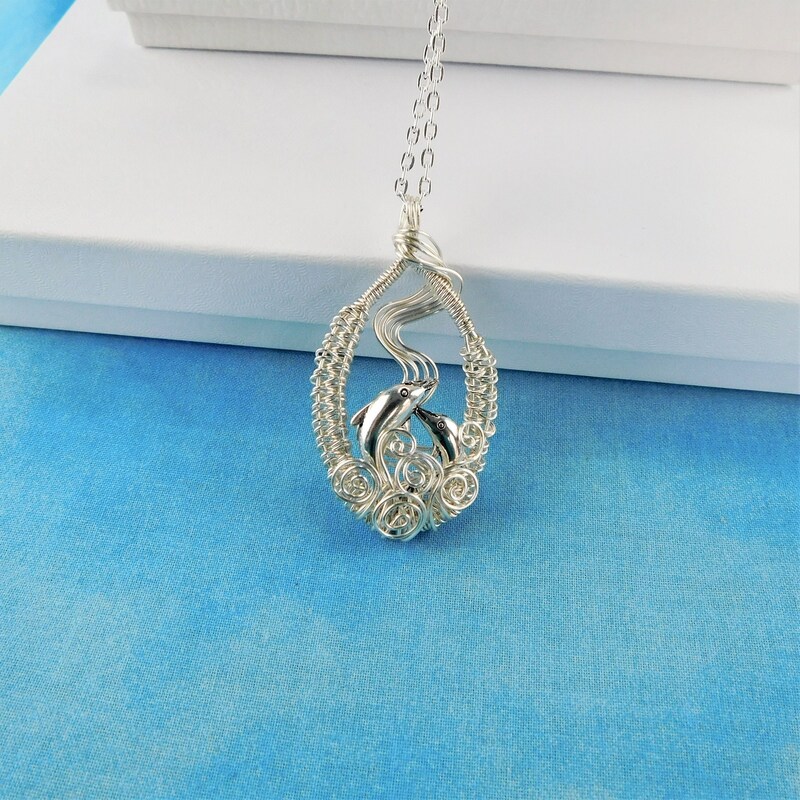 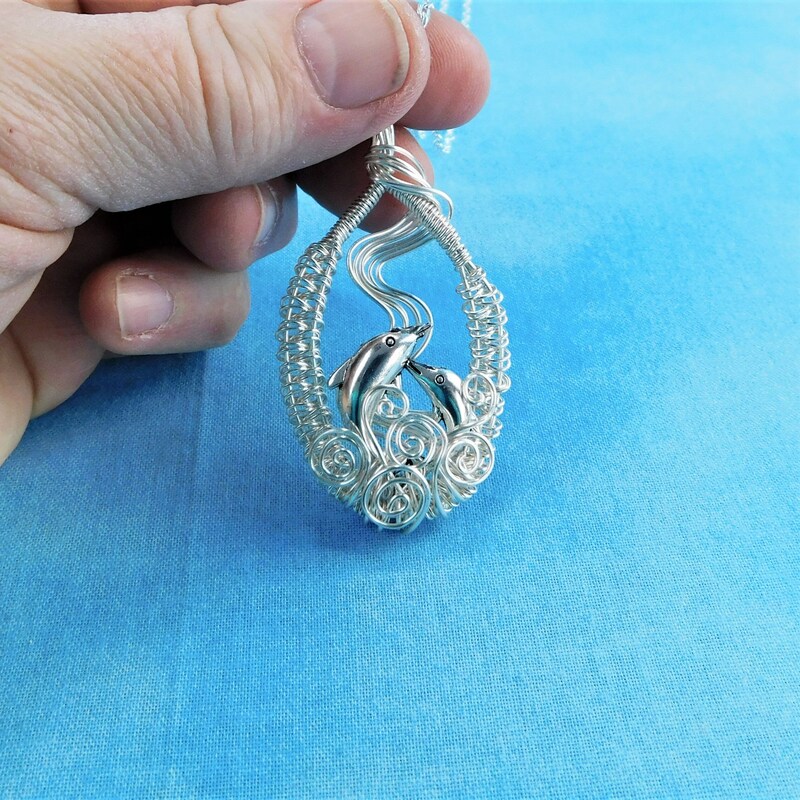 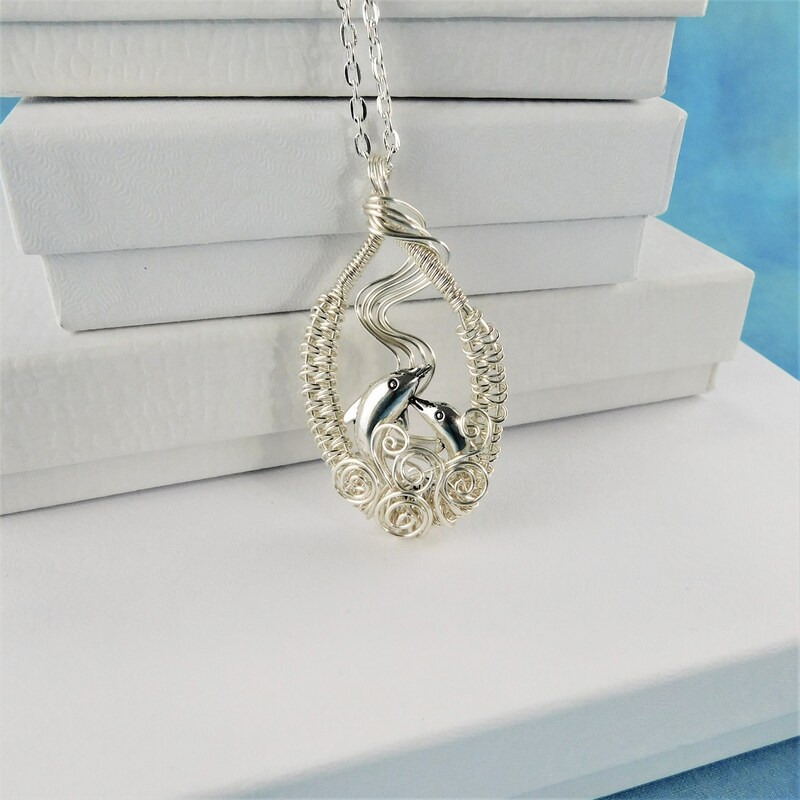 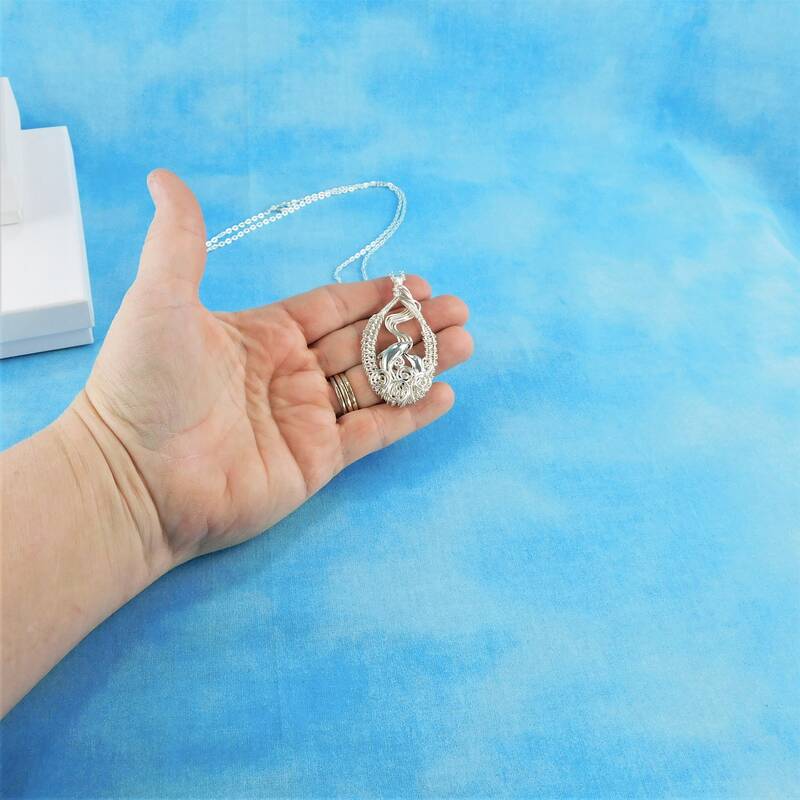 The pendant measures 2 inches by 1 inch and comes with a FREE coordinating chain with lobster claw clasp.